Last Thursday, Alex & I were back to Sarikei. Before arriving Sarikei, we’ll stop at Sibu. I decided to plan a meet up with my blogger friend, Arthur (aka Suituapui or nama gelaran Sibu Food Mayor). I sent him a message a week earlier to make an appointment with him. hehehe…. Upon arriving Sibu airport, Alex’s friend Tony came to pick us to the assigned destination. During my earlier conversation with Arthur, he asked what would I like to eat. I told him… we probably could only manage to makan at one spot. I did not wanted any Kampua Noodles…because I knew I’m gonna be having that on my entire stay in Sarikei. So, I told Arthur… I want that Mille Crepe. I also want that fried kompia! Ok set! Arthur said; then we go Noodle House. From airport, we took around 1/2 hour to reach Noodle House. Arthur texted me wondering if we could locate the place or sesat already. The building is kinda hidden behind the main road. With the help of GPS and also I remembered the color of the building, we found our meeting place. LOL! Can you imagine we ordered desserts first before looking at the main meals? LOL!! A cuppa hot White Coffee (RM3.50) for myself. 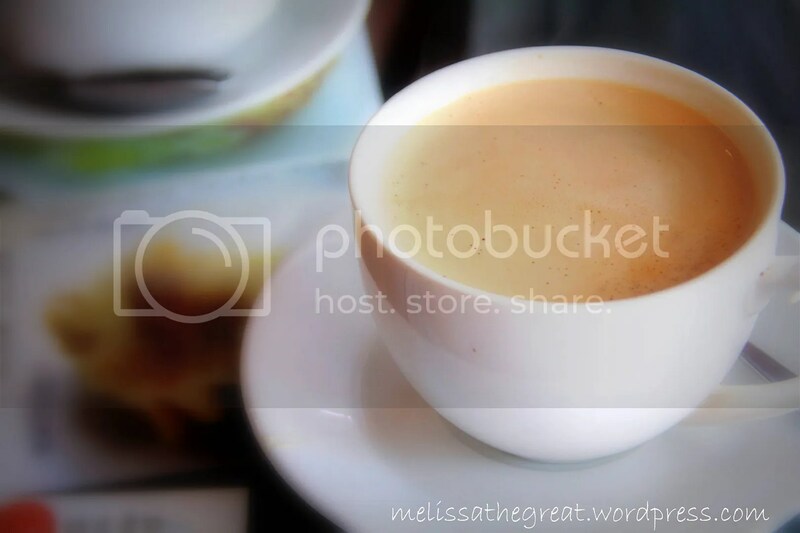 Nothing great about the coffee. More like instant coffee. I wanted to try their mille crepe! So we chose one. According to Arthur, the Rum & Raisin (RM7.80) is nice. Not too sweet. Well, true enough. It wasn’t too sweet and each layer were nicely done. Not too dry nor too much cream either. However the rum taste was quite mild. Furthermore the price is alot cheaper than what we are getting here in KL. We only ordered 2 types of desserts. I did not want them to occupy my tummy space. I need to leave some for the other dishes here. hehe…. 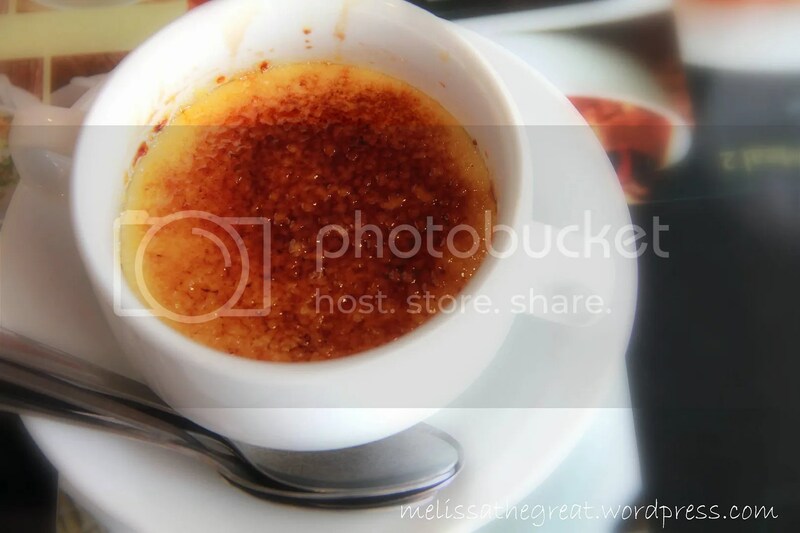 This was my second time trying Creme Brulee. The first one was at Fullhouse Lifestyle Store & Cafe. Was a good one. Here at Noodle House, the Creme Brulee (RM7.0) was nice too. Rich and wobbly custard topped with caramelized sugar. There were several choices of sizzling dish (kampua) on the menu. 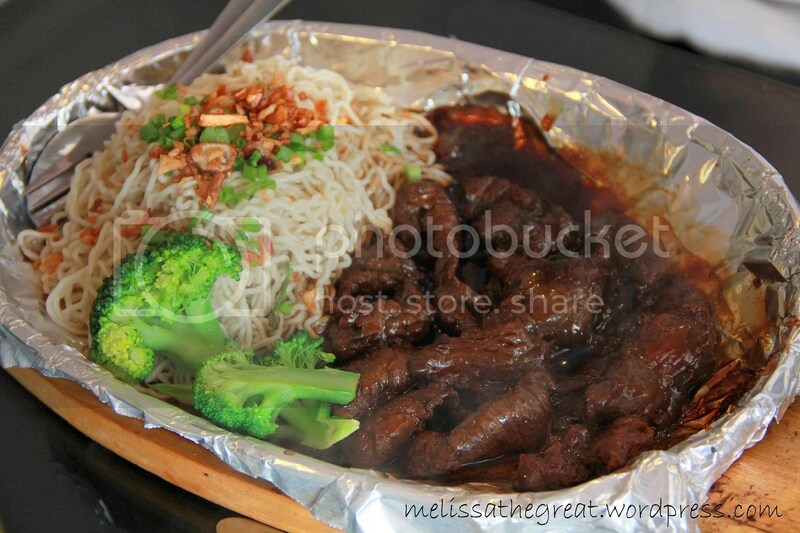 Alex & Tony had Sizzling Pepper Beef Kampua (RM9.50). It was served hot. Alex said; “Waahh…this is ‘high class’ kampua. I’ve not eaten kampua served this way!” LOL! This was nice lo… the noodle and the black pepper beef + gravy combines well. I curi-ed makan a slice of beef meat. The meat was tender and tasty! I am a rice person now! I wallop the whole bowl of rice okay. This Stewed Pork Rice (RM7.20) was nice. 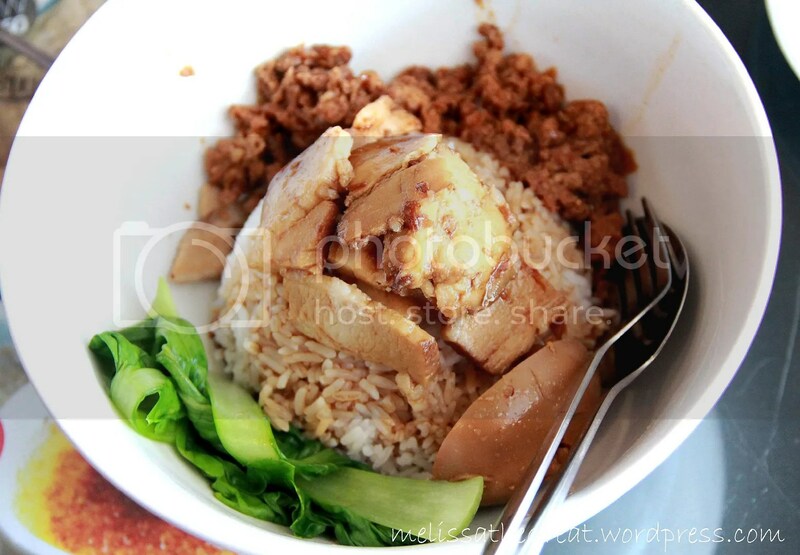 The meat portion (stewed pork slices & minced pork) not stingy. Here, there are 3 different types of filling for their fried kompia. 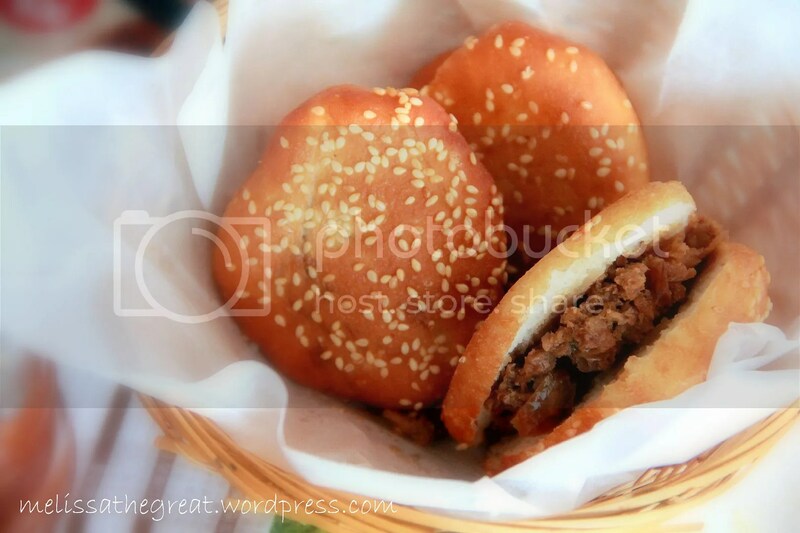 Minced Meat Kompia, Pork Belly Kompia & Cheese Spicy Chicken Kompia. I went for the ordinary filling. So, above is Minced Meat Kompia (RM3.50). and this is the Pork Belly Kompia (RM4.50). I felt both were good. Although the kompia was fried, its not dry or too oily. Arthur remembered I commented on his blog that I’ve not tried Tee Piang before. (He has good memory. 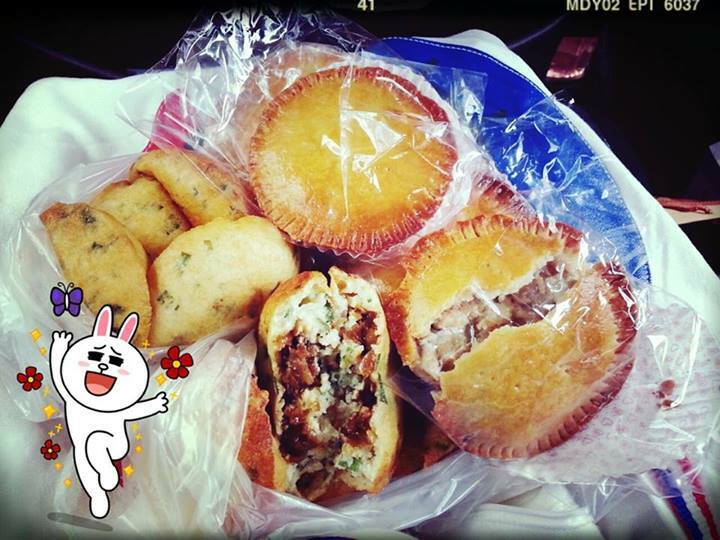 Dun play play) He bought me some Tee Piang (with and without meat filling) and some Chicken Pie. Hey… these are precious. Couldn’t find it here wan. Tee Piang is made of soya bean pulp. It smells like ‘wadeh’ may be because of the fragrant from shallot. I like the one with meat filling (like the char siew pao filling). I especially like the Chicken Pie. The pastry was nice…and the filling was so full. It was nice meeting Arthur in person rather than exchanging comments on our blogs all the time. He has that ‘serious’ looking face… but actually a nice person after meeting him. hehehe…. So when are you coming, Sean? Quick! Quick! Air Asia cheap fare offer ends 22nd – flying Jan-March next year, I think. Let me know when you’re coming. Will surely take good care of you…eat…eat…eat!!!! Kampua and kompia sound so foreign to me ler. But Kompia look super yummy. My pleasure, having the opportunity to meet you in person. Ya…I was saying I was pregnant, 9 years overdue… LOL!!! Glad you like the pies – nice hor? Love the pastry, the buttery fragrance. Actually was thinking of buying some and sending to the airport before your flight back…but very lazy – old and fat people, like that lah!!! LOL!!! Next time, next time…and next time, stay longer in Sibu lah! 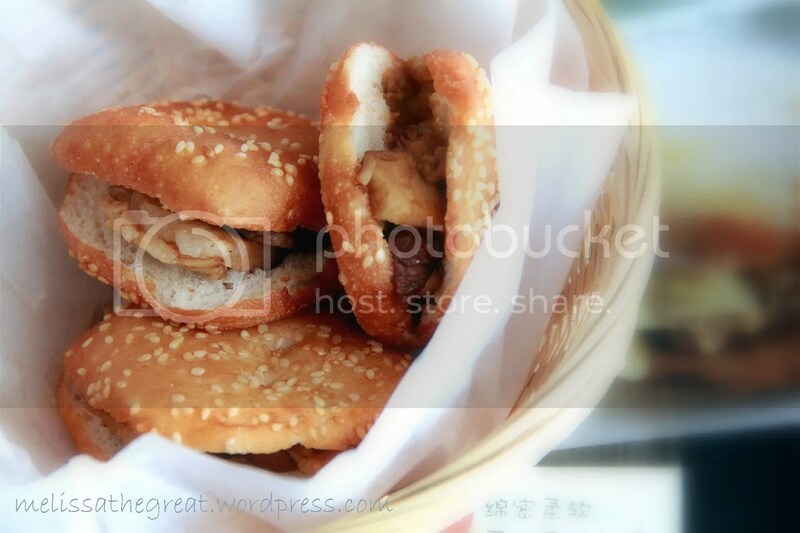 So many things to try – go back Sarikei, eat kampua every day only. Hehehehehe!!! Nice meeting your hubby, Alex too! Hope will see you two again someday soon. Wooaaahh !! 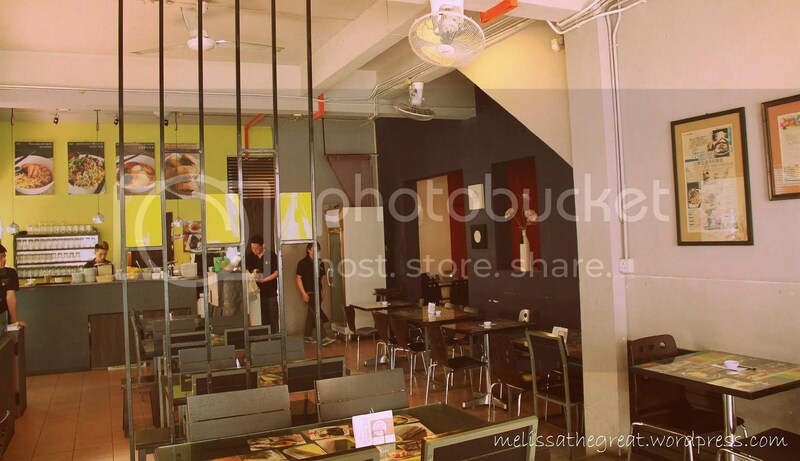 I’ll make sure I go to this place for its mille crepe this coming December !!! 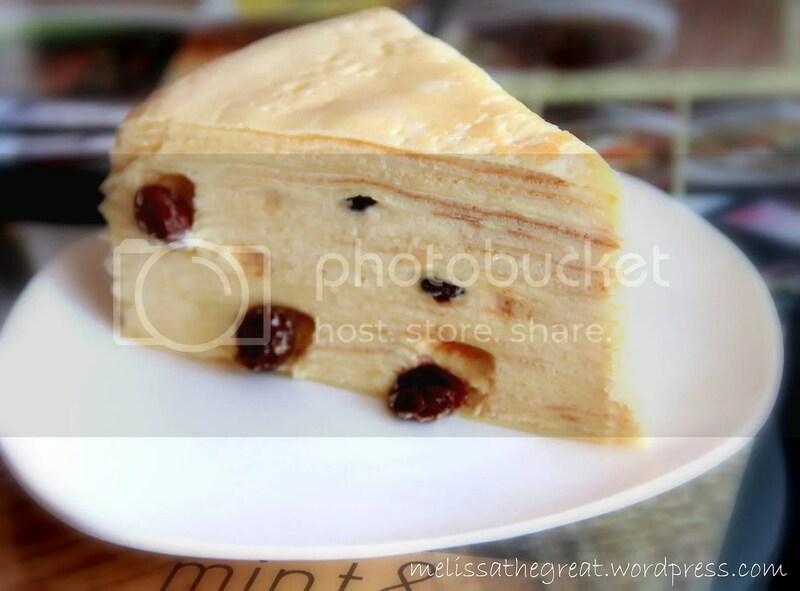 Btw.. if you happened to come to Kuching, remember to try Song Kheng Hai’s Hawker Stall’s Kompiaaaa… my KL friendssss love the kompia very much and they even tapao back to KL.. haha..
That mille crepe looks so nice! Very nice! I did a double take and wondered if I was on the wrong blog. Haha! The seafood kampua is pretty good there too! We had both last time we were in Sibu. Good to see you’ve met up with Arthur!